It all started very simply, the shrills of insect, followed by the frightened shriek of crows and other birds. Then all over the slopes, it was the rumbling down of screaming monkeys. 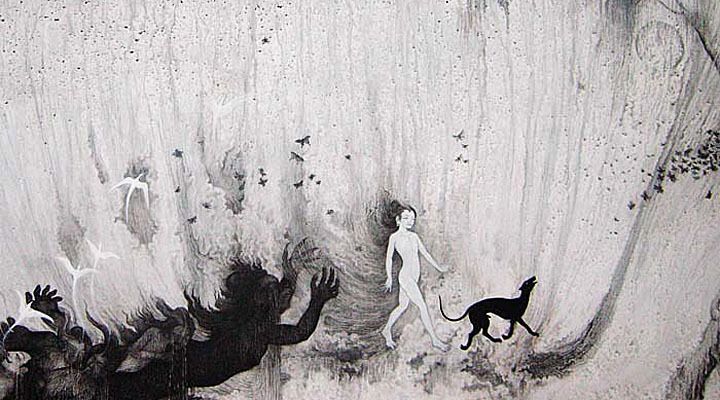 By then, the trembling of the ground had become first a tremor, then a quake. Up there, on top of the volcano, materials were regularly spouting from the crater, an ash column stretching 2,500m into the sky. Some lava even bubbled up to the latter’s ridge. Yes!! On November 26th 2017, the Great Mountain – translation of the name Gunung Agung – was awoke. If the great mountain, or also known as To Langkir, the Man of the Mountain, was indeed waking up, it is not without its own good reasons. Now forget, dear reader, all that you have read about in tectonics and underground magma dynamics. If it is awakening, it is for other good logical reasons. Many people, all over the island, enter into sudden trances. What do the spirits possessing them actually say, amid the jumble of words they utter? That the gods are upset. Why? Because Gunung Agung is not pure anymore. It is leteh. It has been besmirched. Someone, or some people have upset it. Was it a woman who dared to climb Agung during her period? Or a couple of foreigners who made love on its slopes, or any other cause? No one knows for sure. But offerings do not suffice anymore to appease the gods. A real cleansing is needed. A full-scale eruption. Old villagers don’t miss mentioning the last eruption of 1963. Almost 1500 people were killed. More importantly, the eruption was the forerunner of an “alikan gumi”, the unavoidable, if tragic, end to an era and its replacement by a new era. Unavoidable, so to say, the 1963 eruption was followed, two years later, by the most tragic event ever in Balinese history: the slaughter of 100,000 communists or people classified as such. “They spoke too loudly,” some people still say now, “and disrespected the gods.” Of course. So now, the pertinent question is: “are we on the verge of a new era, an alikan gumi, another violent transformation of the world. Some signs portend it: rampant islamization, immoral behaviours of tourists, and much more of course. It depends on how you see it. So beware of the mountain anger. “Nothing to do with Hinduism”, some of you will say. Of course. 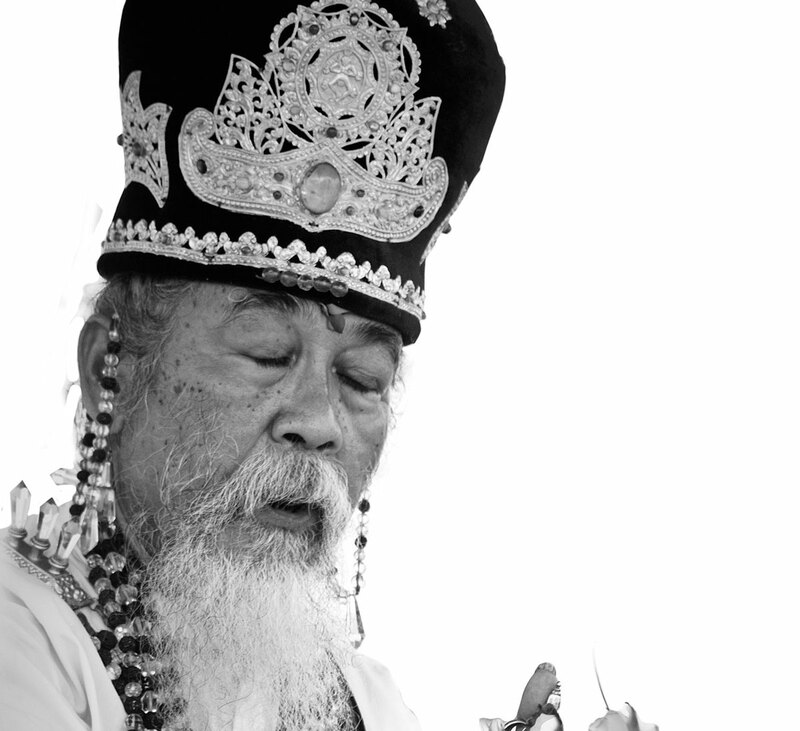 But the cult of the mountain and the related cult of ancestors are certainly the deepest, most ingrained layers of the Balinese belief system. Hinduism is a “religion“ superimposed on this old tradition. 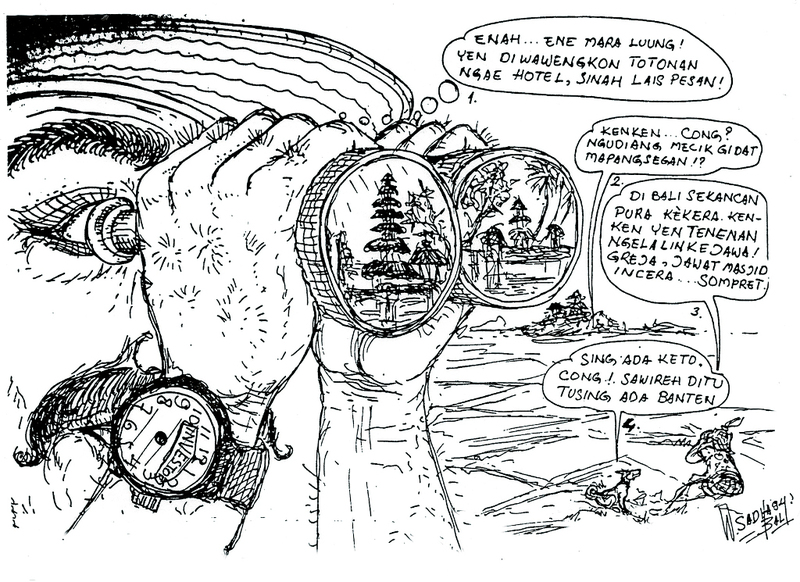 It provides an explanatory cosmogony that makes sense beyond Bali, in the world at large, but which is very new and still alien throughout much of the island. To most Balinese indeed, Gunung Agung is not simply a lump of stone and lava; it is the abode of the ancestors. They are those to whom one addresses daily offerings in the nearby family temple; they are the dead whom one consults via medium (balian tetakson) whenever a problem arises; they are the parents or children, upon their death, achieve ancestral status and ascend to dwell above the mountain; they are the ones who are portrayed in the stories in the religious theater…Yes, ancestors are everywhere. And they reside above the mountain. According to the common understanding of villagers from the Balinese hinterland, above the mountain is located what is often called the old country, (tanah sane wayah), the abode of ancestral souls (kahyangan) already purified, which are said to have already become “water”(suba dadi yeh) or wind (suba dadi angin). Gunung Agung is the main ancestral abode, but there are other ones, the Batukaru, the Batur, Mount Sraya, in fact all Balinese mountains. During temple festivals or important calendar festivals, such as Galungan and Kuningan, these souls come down (tedun) for visits the ones they call their “children“ (cening, warih batara), accompanied by gods (dewa-dewi) and all sorts of subaltern deities and spirits (rencang, ancangan). During their stay, they reside in effigies (pratima) or offerings (daksina) that are purposely made or prepared to welcome them in to family and clan temples. They are treated like living beings: they are bathed in the river (mesucian), are dressed (mepayas), given food (mesodan), taken in procession to the temples and sacred places of the village and eventually sent back to their heavenly abode. The attention provided is greatest to the recently dead relatives, which can be treated with their favourite dish. 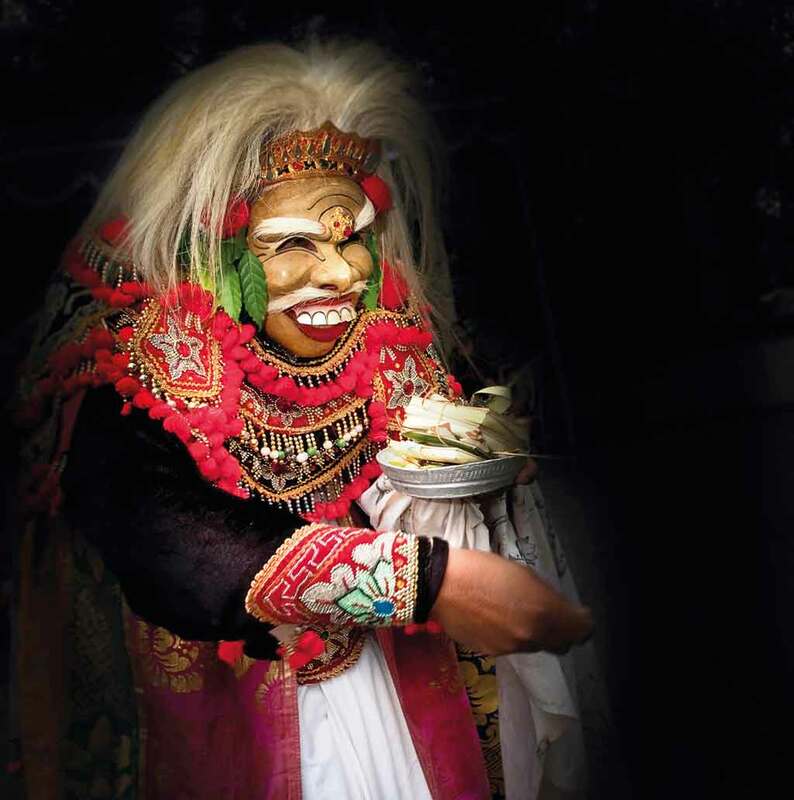 To the long dead ancestors whose memory is still alive, one holds a dance mask (topeng pajegan) that retells the key moment of his life – never her. Sometimes, usually during a festival, an ancestral soul will take hold of the spirit of a descendant, which then becomes its medium (tapakan sadeg, seliran, sutri). It can be a simple dance or a means for the ancestor to convey a specific request: building of a new shrine, hold a ceremony etc. Yet, one can also consult them, through a balian, to inquire about a fault “obviously“ committed, as shown by a sudden illness or accident etc. But the communication between the living and the dead also takes place every day, through sodan offerings, and through prayers or requests addressed informally (and without mentioning any name out of respect), to the grand-fathers (kaki) and grand-mothers (nini) in the altar of the “origin“ (kawitan, paibon) in the centre of the family temple…. To symbolize the presence of the ancestors, ancestral shrines are shaped like a mountain, which makes it easier for ancestors to come down and reside. 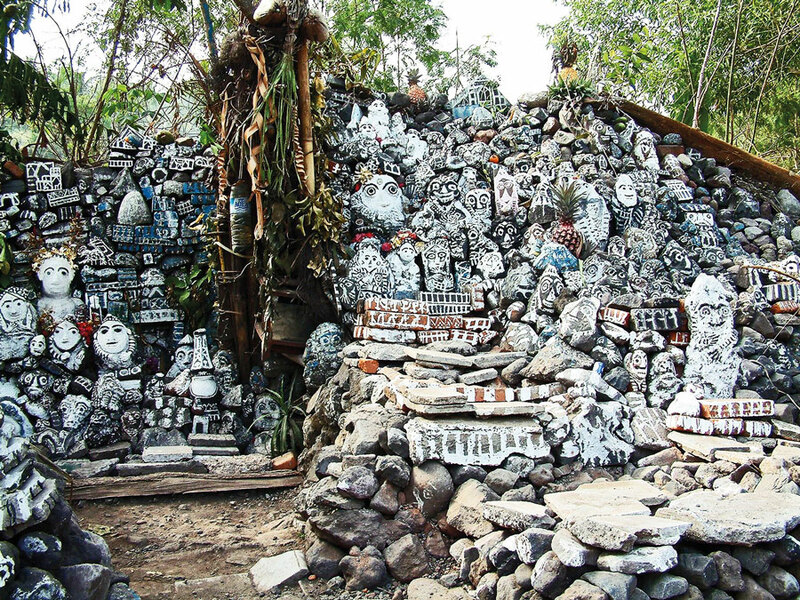 The pura puseh, or navel temple of every village, has always several multi-tiered “mountain“ shrines purposely set to welcome each the ancestral gods from all the Balinese mountains: Gunung Agung has its shrine, so does the Batur, the Batukaru etc. One finds similar structures in kinship temples, in which the number of meru-tiers also reflects the status of the clan. Even the main altar of the family temple is mountain-shaped. The link between the living and the dead is established through the death ceremonies. Of the various rites that take place, the cremation is not the main one. The main one is the “ngantukang“, which takes place once the spiritual and material components of the deceased person have been separated from one another for good during the cremation (pengabenan) and post-cremation (nyekah) ceremonies. In a rite called nyegara gunung (sea-mountain), the soul takes leave from its former material envelope in the sea and is then taken to the Pura Dalem Puri, the key structure of the Besakih temple complex. There it takes leave for good to its heavenly abode above the mountains. Once this is done, it is convoyed back to be enshrined in the family and kinship temples (melinggihang), if possible through an effigy, for communication to continue with the living. After an unknown number of years, it is possible for a soul to be taken by hunger. It is “asking for rice“ (nunas baas), people say. It wants its “shadow to come down to earth“ (mepewayangan). If one of its descendants has been begging for a child in a family shrine (nakti), it will come down during the love-making process. This is indeed a serious affair. Better take advantage of it. A shudder might signal it. One thing is certain: once a child is born, the most important thing to know is who came down from “there, above the mountain“. The right medium will tell you, usually 12 days afterbirth. All this is very far from Hinduism, isn’t it? Another thing: don’t you think that the constant presence of ancestors accounts for the relative unimportance of individual freedom in Bali?